Forming the tip of the Deccan Plateau, Wayanad is blessed with all kinds of natural beauty and goodies that a hill station is blessed with. Wayanad is visited by millions of people every year owing to the abundance of the natural beauty and various other tourist destinations located nearby. Though lots of people visit the place, finding a good accommodation and that too when you are travelling with your family. You just can't choose any hotel devoid of proper facilities or located at any desolate place. Further, the choice of stay while visiting a place you are not familiar with requires a very good judgement and you have to be really considerate for the security and basic cleanliness. 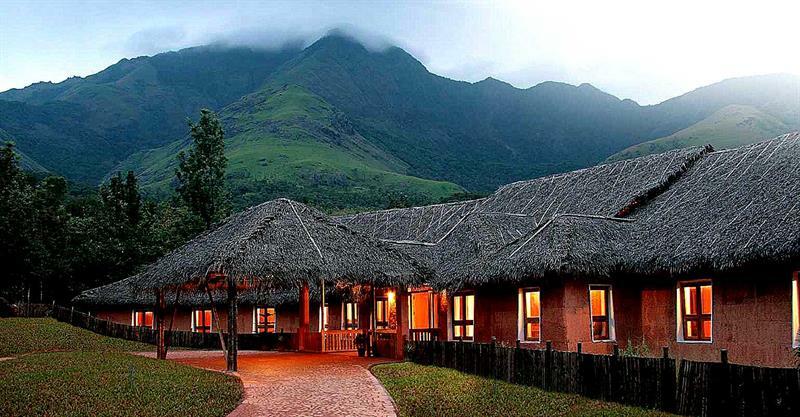 Hence, in order to help all the people that are planning to visit the place in the near future or have already taken the route to Wayanad, we have compiled the list of the Best Family Resorts in Wayanad. So, here we go. The Resort is located in Kenichira and is one of the best resorts in Wayanad to stay while touring Wayanad or nearby areas. The resort has really amazing natural resources and is blessed with the best things nature has to offer. Water streams, lakes, plantation, flora, fauna, and that too with high-class infrastructure and services. The staff is helpful and dedicated. Boating facilities are available and the visitors are even allowed to do fishing in the lake. Pappy's Nest is basically a plantation resort which means you can have loads of fun with loads of nature all around you. There is a bird watching tree house where you can explore the birds inhabiting the Wayanad region. The children can play indoor games as well as enjoy small rides and swings in the garden. 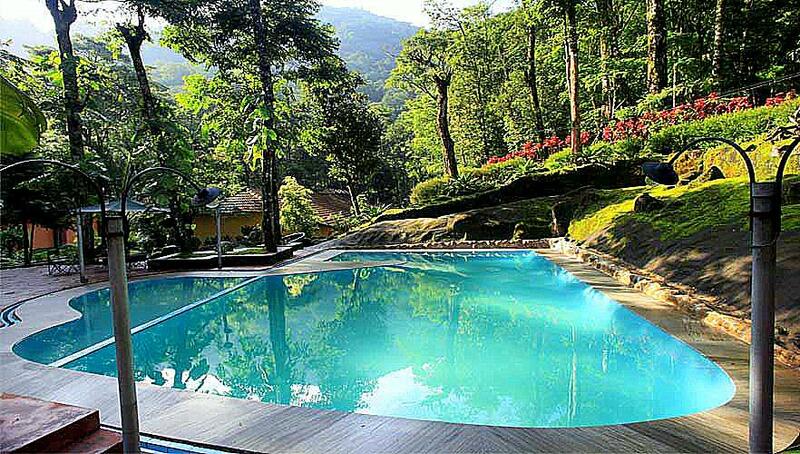 Located in Kalpetta the Sharoy Resort is a really luxurious and premium stay option while visiting Wayanad. Infinity Pool, Beautiful Sit-outs, Balcony Areas overlooking the views of Banasura Dam, lush green surroundings and lots of pampering is what awaits you at the resort. If you have children, you will find them jumping with joy after seeing two ostriches and swans in the garden area. The staff is really cooperative and you will find your stay alone to be a very good experience. Sharoy Resort is one of the best resort in Wayanad and the rooms are spacious, clean, and one can also book a honeymoon cottage which is fully furnished and really a cosy accommodation. 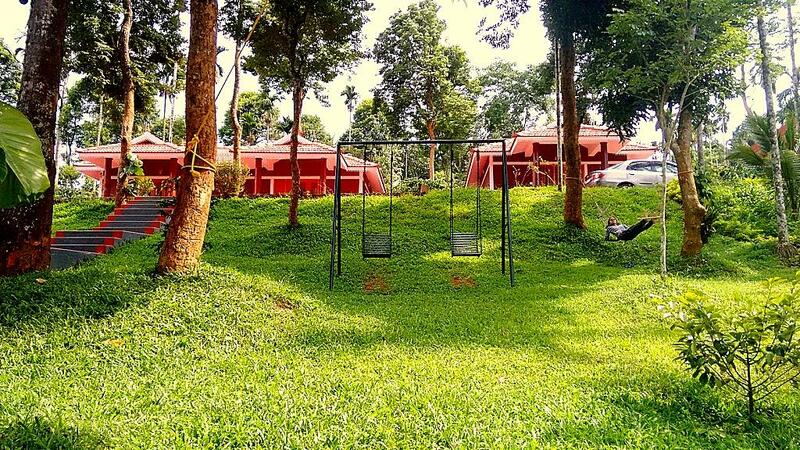 Vythiri Village is one of the best resorts in Wayanad Located near the Vythiri Town, the Vythiri Village has a lot of fun elements along with a good accommodation for all of its visitors. There is an artificial waterfall, fish spa, swimming pool, cycling area, conference room, mini golf course, convention centre, archery area, stream walk and zip line along with oodles of natural beauty to engorge upon. The stay can be really good as the food, the services and the staff is amazing and make your stay full of pampering and good memories. Special arrangements can be made for the Theyyam performance and barbeques on request. If you are travelling with your family, especially kids, you are bound to have a swell of a time at the Vythiri Village. Wayanad Silverwoods is a premium stay in Kalpetta that offers you every luxury in the best possible way. There is various villa themed rooms such as Romantic villa for the honeymooners, Royale Villa for a royal experience of staying, Primero Villa with premium residential facilities etc. The visitors can enjoy a pleasant stay with pleasant views of the riverfronts, valleys, hills, and thus make the best out of their vacation. While travelling with family, especially kids, one has to be really considerate of the facilities available at the hotel etc. And Wayanad Silverwoods has all of it. Wayanad Silverwoods is one of the best resorts in Wayanad visitors are offered a welcome drink, and the staff makes every effort to make your stay wonderful. There are provisions for indoor sports, candlelight dinner, snooker game, foosball etc. One can enjoy exotic views of the Banasura Dam and have a candle light dinner surrounded by the amazing natural beauty the place has to offer. Raindrops Resorts Wayanad is a luxury boutique resort located in Sultan Bathery, near to the Muthanga Wildlife sanctuary, surrounded by coffee and pepper plantations and has a beautiful paddy field view in front of it. An in-house multi-cuisine restaurant, ayurvedic massage spa, swimming pool, campfires, games and activities, cycling, jungle safari and trekking, and honeymoon cottage are some of the notable attractions of this place. The bunker beds are also available which are really enjoyed by the kids. The traditional food prepared by the local chef is really good and the rooms are well maintained, neat and clean. All the staff and the overall team are very friendly and caring, the rooms and surroundings are spacious. Address of the resort: Raindrops Resorts Pvt. Ltd.
Wayanad Blooms is located in Edakkad and is a place surrounded by trees and vegetation on all sides. An organic farm, bamboo huts, rabbits in the garden areas, campfires, small stream, mud house and honeymoon cottage are some of the notable attractions of this place. The bunker beds are also available which are really enjoyed by the kids. The food is good and the rooms as well as other, areas are properly maintained and clean. 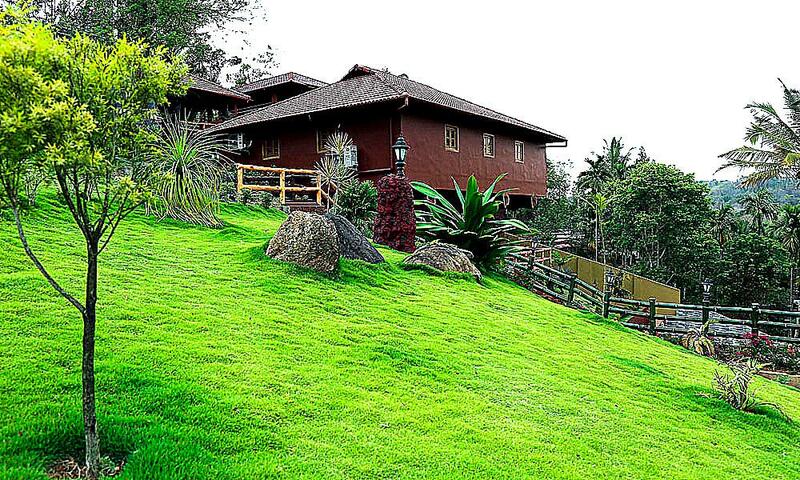 All the rooms are spacious and the surroundings are full of life with various colours of green flora. The hospitality staff and the overall team that is working over the place make every endeavour offer the best of the stay experience to all the visitors. 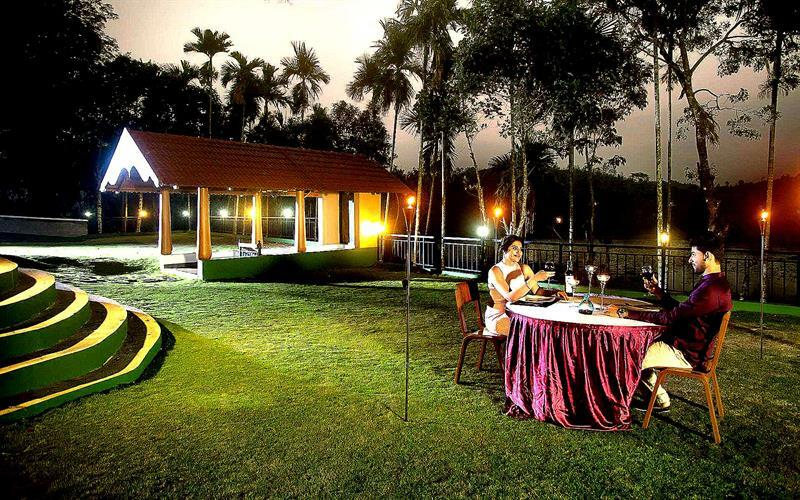 Located in the Chooralmala is one of the best resorts in Wayanad with the serene and peaceful surroundings, the Chateau Woods is a place that is teeming with life, fun, and oozes charm and elegance at the very first look. There is a private waterfall, amazing views of the nearby cliffs, a fishing pond, tea estate, table football, and an exotic view of the Soochipara Falls. The ducks and swans form an attraction for the kids. There are amazing balconies with deck chairs, recliners and other pleasant sit-outs. The balconies are blessed with amazing views and if you are lucky, the rains will fall and make you feel a part of the clouds. The residential facilities are really good and everything else such as food, hospitality staff etc strive to make yours stay the best possible. Nestled in the lovely valleys of Wayanad, the Banasura Hill Resort is a yet another place to stay while touring the Wayanad region. 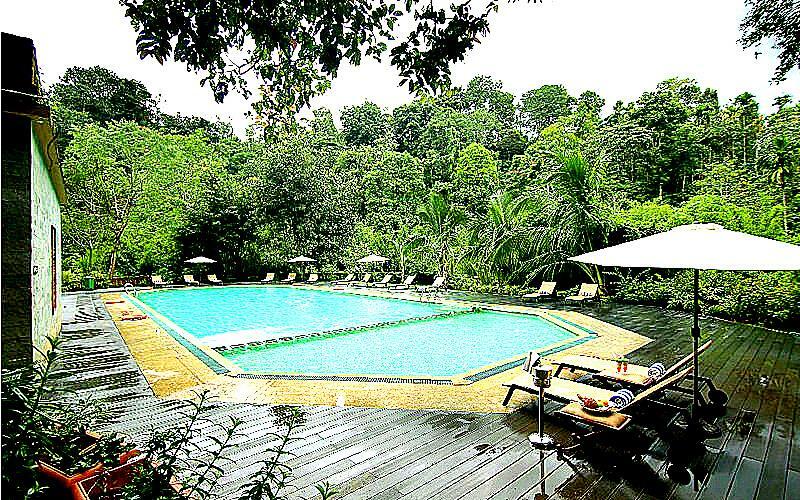 Famous as a Nature Trail in the UNESCO approved world heritage site, the place is located amidst the hills and forest. The rooms are well furnished, the services are really good, the natural beauty around the area seems to have a lasting impact on the minds of the visitors. 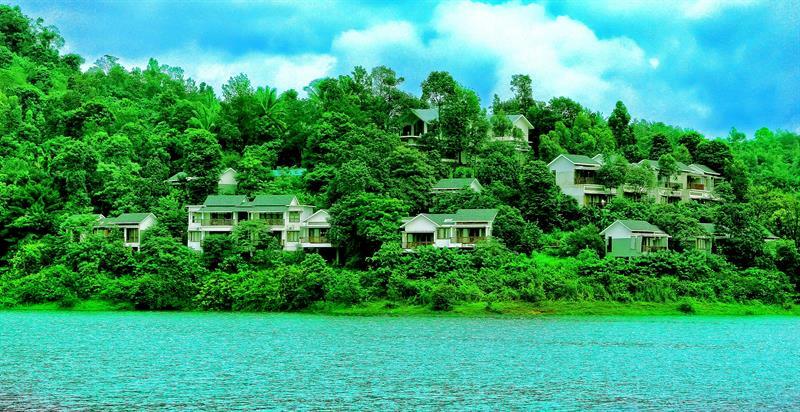 The place has the honour of being the only 'earth' resort of the nation and one of its only kind in Asia. You can enjoy the trekking on the nearby hills and remove the tiresome effects of the same by sipping the freshly ground coffee too. There is a spa to relax and rejuvenate your senses. The rooms always stay at a cool temperature because of being constructed in mud and no AC is required even in the scorching summer heat. Whether you are on a family vacation or on your honeymoon, the place is one of the best ones to stay at. 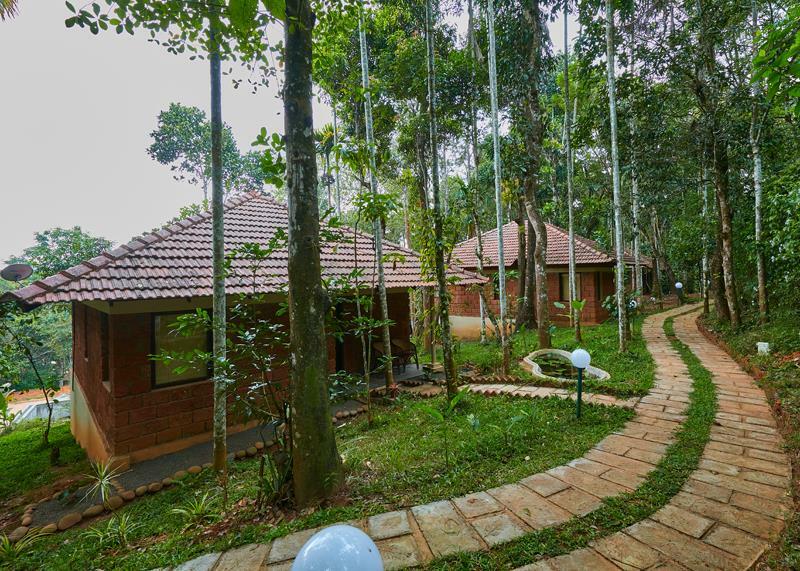 The resort is located in Melapoonchola and is one of the best resorts in Wayanad nestled cosily amidst the lush green and dense vegetation the area has to offer. There is a natural waterfall, hills for the trekking and camping experience, eco-friendly sustenance and amazing natural beauty. Other attractions include swimming pool, natural pool, western holistic spa, health club, multi-cuisine restaurant, bird watching areas, natural streams, bonfires, and a trek made more exciting by the streams, waterfalls etc. The Wave is one of the best resorts in Wayanad is located near the Odavayil Lake Side and is famous for the excellent service and amazing décor. The rooms, balconies, sit-outs, all are well furnished and the visitors will find it a good accommodation. The bath rooms are large and well maintained too. The food is delicious and the natural beauty in the surroundings makes the whole place seem divine. The Hotel Sheelisach inn is surrounded by a completely different ambience as compared to the Sulthan Bathery town. The amazing views, natural splendour, helpful and dedicated staff, swimming pool, banquet hall, play area for kids, and tasty food – Hotel Sheelisach Inn has got it all. 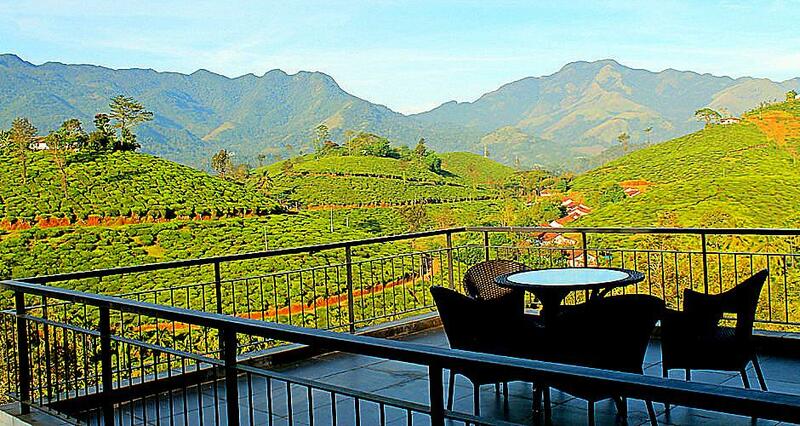 Now, you have all the names of the best family resorts in Wayanad. Go hit the road and enjoy your vacations..!! 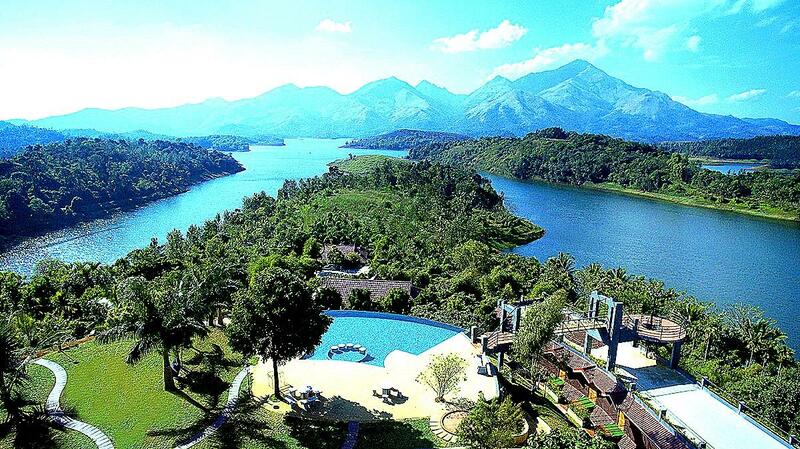 I have visited Vythri Resort in Wayanad.It is a beautiful resort and sure it is one of the best resorts in Wayanad, and now in January 2017 I am going to visit Sharoy Resort, I am so excited to visit this resort, because Kerala,especially Wayanad is my favourite tourist destination further I will visit all the 10 tourist destination one by one you have mentioned.